Tim Graham’s favourite subjects at school were sport and art. When the time came for him to do work experience, he worked alongside renowned artist, Maynard Waters, whose son, Peter was a school friend of Tim’s. As Tim’s style and confidence developed, he entered art competitions and won numerous prizes and awards. He now enjoys painting Brisbane streetscapes. He loves the old Queenslanders and the narrow streets encroaching on the city. The iconic Storey Bridge often features in his paintings. 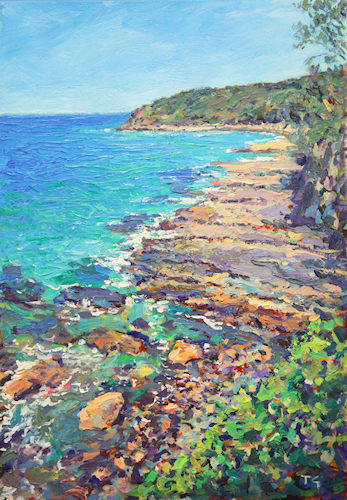 Recently Tim has turned his hand to interiors in the style of Margaret Olley. 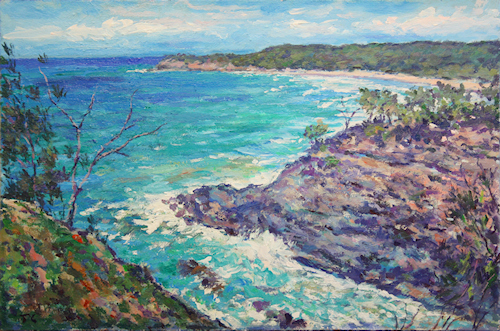 He also enjoys painting Sunshine Coast beaches and the surrounding bushland.